85' parabolic antennas from various input sources. eral purpose stored program philosophy. Acoustic Delay Line     320       8,000     500 Avg. Acoustic Delay Line     160       4,000     250 Avg. drives 4 command registers, two for each antenna. completely transistorized and modularized construction. is synchronized to external range timing system. 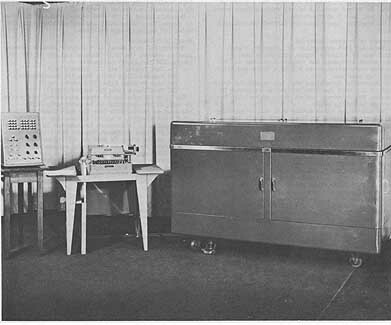 satellite system with the CDC 1604 Computer. eral equipment. System uses 110v, 60 cycle power. applicable. Subject to change without notice. included in the equipment price. is a control panel. It houses two switches and two lights. The switches denote Operation Mode and Input Disconnect. It contains controls for a total of four tape handlers. and the lower 6 bits are transmitted to the computer. of 15 KC. Additional magnetic tape units are available. transfer type papers, pre-printed forms or card stock. tape punch that operates at 60 characters per second. 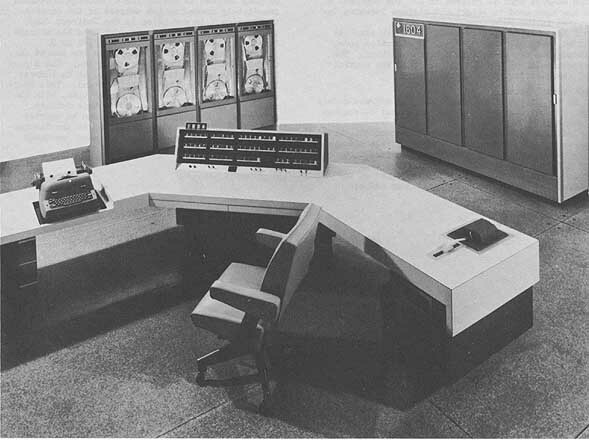 of the 160 Computer is shown in the figure. added to or subtracted from the contents of A.
a jump address is entered in P if a jump is called for. then transmitted to the A, Z, or S registers. select the storage location involved in the reference. instruction is under the control of the quantity in F.
12-bit operand in one of the first 64 storage locations. contents of P are added to E.
out with a 6-bit quantity contained in the instruction. A-Register (Operational) Principal arithmetic register. involving both A and Q.
with A to perform double precision arithmetic. A. Q also contains mask in logical operation. and entered in U1, the upper instruction being executed first. instructions from P and addresses of operands from U2. word to be written in a given storage location. register. All input-output data passes through X.
control information with input-output equipment. required, output transfer operations carried out via 04. National Bureau of Standards - Boulder, Colo. Faster punched card units will be available soon. Two read feeds are available. is driven by a 15 HP motor. applicable. Prices are subject to change without notice. is approx. $800,000. IBM 717, 727 and 757 rent at approx. Data Corporation amounts to $17,500/year. 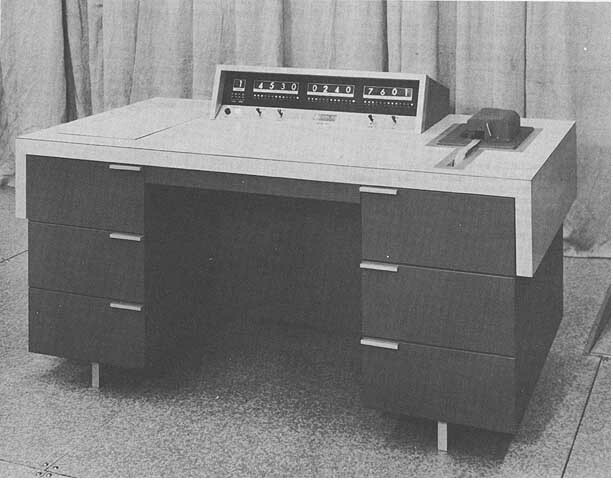 IBM Input-Output equipment is $1,340/month. and also seminars are given at the school. andthe NCR 102A 20 hours per day, 7 days per week. for rent to outside organizations. six index registers, and floating point arithmetic. channel, and satellite operation with 160 computer. equipment is ready to send or receive information. asynchronously with the main computer program. initiated by the peripheral equipment by indicator "flags". corresponds to the phase rate of magnetic core memory. one 1604 and peripheral equipment having comparable speed. All transfer operations are carried out via channel 7.
be a fault condition, e.g., an overflow. peripheral equipments, or activate buffer channels. operation for the selected equipment. storage in the buffer operation. detection for each character read; and end of tape sensing. be connected to a 1604 Computer. handler, while the remaining two tape handlers are rewinding. Any tape can read either in a forward or reverse direction. transmitted from the 1605 to peripheral equipment. 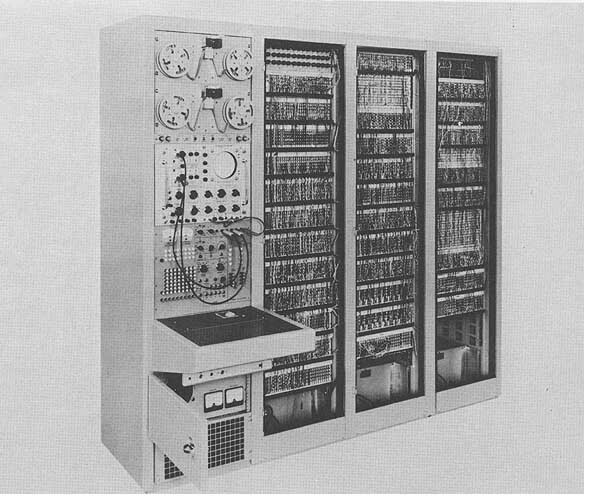 number of 1607's can be operated with a singe 1604 Computer. 1604 and used either on or off line. U. S. Naval Postgraduate School, Monterey, Calif.
National Bureau of Standards, Boulder, Colo.
U. S. Navy, Bureau of Ships, Washington 25, D. C.
Nassau Street, Princeton, N. J. The paper tape reader is optional. Programmed check is normally used. This system is no longer being manufactured. and Z positions in IBM 704 format over transmission lines. rooting. Additions performed during drum recirculation. registers plus numerous index registers. simulated and the clock switched to manual. All transistors undergo an aging process. Outstanding features include reliability and simplicity. Computers now in production contain automatic calibration. Automatic built-in subroutines include multiplication. Williams tube Electro-static 1,024 40,960    30 av. classes conducted on a regular schedule. Good time                 40.9 hrs/week av. Attempted to run time     41.2 hrs/week av. Above figures based on period 1 May to 30 Jun 60. 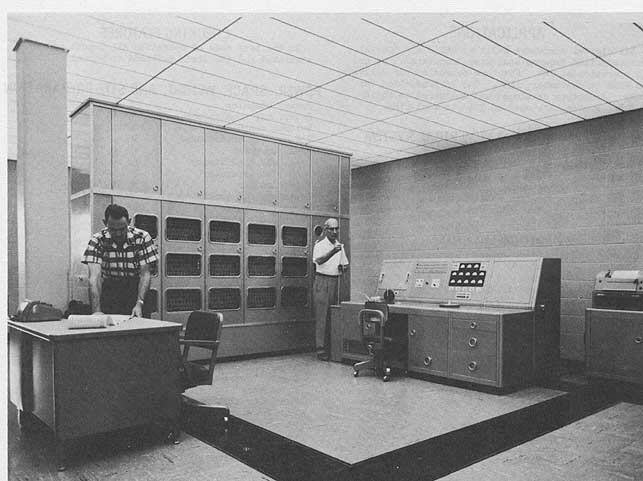 System was placed in operation in Jul 59.
system will be found under this listing. camera, and a high speed line printer.